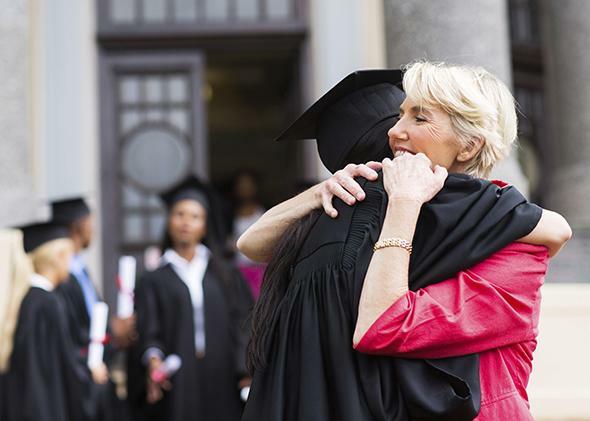 What’s really behind the finding that parents of college grads live longer? The four best years of his life. And maybe four more years of yours! These counterintuitive headlines, based on a recent study of death rates in the elderly, are unjustified. Like many other research articles that are advertised as showing causality—such as stories claiming that peanut butter might prevent breast cancer, that anti-bullying programs cause more bullying, that divorce causes household fires and accidental poisoning, or that husbands are killed by their wives’ nagging—the study here does nothing of the sort. The reports are based on the study “The Schooling of Offspring and the Survival of Parents,” which was published in the August issue of the prestigious journal Demography and was authored by social scientists from the RAND Corp. and UCLA. The authors started with a large and rich dataset (the Health and Retirement Study) of annual survey results dating back to 1992 and containing responses from approximately 26,000 elderly Americans. The authors then incorporated a database from the Centers for Disease Control and Prevention that tracks all recorded deaths in the United States. Using this data, the authors ran statistical analyses that attempted to “explain” the elderly participants’ lifespan and death rates. A simple tabulation showed that, compared with those who had died, the elderly people who survived were 6 percentage points more likely to have children who had at least some level of college education. Why would sending your children to college improve your own lifespan, even more so than getting an education yourself? The problem, of course, is that all of this is sheer speculation. For reasons of practicality, not to mention ethics, no one has ever conducted an experiment that randomly assigns children to the level of education they receive (from high school dropout to college graduate) and then follows their parents for the next several decades to see who dies. * While such a randomized trial would show the causal effect of giving children educational opportunities, the current study can offer nothing more than observational correlations. Such correlations can be highly misleading. To quickly review the logic: If A is correlated with B, we don’t know whether A causes B, B causes A, or both A and B are caused by other factors (such as C, D, E, or some combination thereof). We also don’t know if the reported correlation is one of the spurious false positives that easily arise by chance when researchers dig around enough in large datasets. The scientific literature is littered with examples of correlational studies that people interpret to imply causality—but that are overstated or that even turn out to be false when a randomized trial is finally performed. Perhaps the most famous example is hormone replacement therapy for post-menopausal women. Observational studies published in the 1990s suggested that women who received hormone replacement therapy had a lower risk of heart disease. But when a large randomized trial (known as the Women’s Health Initiative) was conducted, it had to be stopped early because the women receiving hormone supplementation with progestin and estrogen actually had a higher risk of heart disease. A likely explanation is that in the earlier observational studies, the women who had been receiving hormone therapy were better off in ways that researchers had failed to measure, such as being more conscientious about taking care of their health in other ways. Similarly, people who run every day have been reported to live three years longer on average than those who don’t. But as Ray Fisman pointed out in Slate last week, healthy people are different from unhealthy ones in a lot of ways that have nothing to do with running. The limits of these studies are echoed in the college attendance study. Here too, unmeasured factors could be driving both levels of children’s educational attainment and parental lifespan. Parental motivation is one obvious confound. If some parents are so motivated that they drill their children on the importance of completing college, they may well be driven and motivated about other aspects of their lives. For example, they may be committed to a healthy diet and exercise. If they then live longer than unmotivated parents, it’s not because their children went to college, it’s because they are generally conscientious people. But this doesn’t show causation either. A correlation between parental smoking and children’s college attendance might just as easily show that parents who are motivated to avoid or quit smoking are also motivated to make sure their children attend college. Or it might show that parents who live near universities find both that smoking is relatively unpopular and that college attendance is a cultural norm and easier to attain for one’s children. Parental motivation is not only a possible explanation, it seems much more likely than the authors’ theory that educated children have more flexible jobs or are better at the Internet, and thus keep their parents alive longer. Children are exposed to parents’ values and behavior during their formative years and early adulthood, after all, while a child’s skill at troubleshooting a wireless modem has a relatively minor influence on a parent’s life. It’s easy to see how often parents influence their children; it’s more difficult to imagine that adult children who finish college are suddenly able to persuade their parents to drop a 30-year smoking habit. Even in policy areas where there have been multiple randomized trials, it would be irresponsible to give “absolute” policy advice. It is startling that anyone would do so on the basis of this study or that news sources would present them uncritically, failing to mention that correlation isn’t the same as causation. Scholars and journalists should know better.